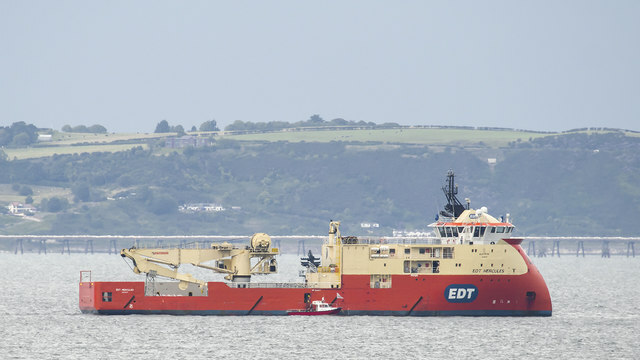 The offshore supply ship 'EDT Hercules' Link off Bangor to collect crew - note the 'Ocean Crest' Link alongside. The ship has been working in the Irish Sea for several weeks (I think carrying out a subsea inspection survey of the Gas Networks Ireland Interconnector Pipelines) and has been fitted with a large crane on deck. Also of note is that the ship has an Ulstein X-Bow design Link .